A warm welcome to Zebras Class Page! Starter for Ten - What's the best fairground ride and why? This half-term our class topic is 'Roll up, roll up. All the Fun of the Fair'. This week our Goalscorers for their terrific Humpty Dumpty story openers are... Marney Prince, Daisy Dixey, Freia Challis, Elsie Kemp, Ty Holland, James Taplin and Rosie Bell. 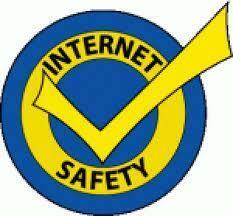 Here's a sneak preview..
Do you know how to use the Internet safely? Click on the symbol to find out more. You can use the internet to find out or research different things. Can you find out about your body on this BBC website? Ladybird Maze Control the ladybird around the maze. Komodo Dragons Find out about these real live dragons! Real Dragons Watch a video of these real dragons at San Diego Zoo.